Hello there Vegan guru support! 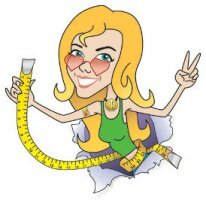 I wanted to give you an little feedback on the side effects of your support in my vegan weight loss efforts. 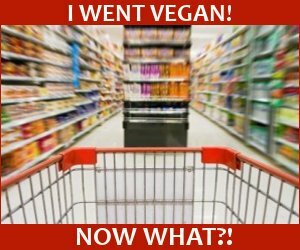 Being a long term vegetarian I finally took the plunge to improve my health and going vegan was both a humane choice and a much needed health choice. So with gallbladder issues (gall of it all, really now!) 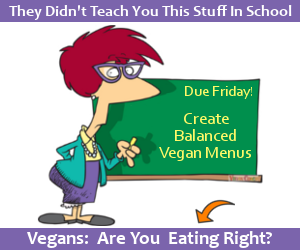 leading to liver issues and generalized yucks (I am sure a clinical term) I with your support have been vegan a whole 3 months now and I love it and do not miss a thing! 1. I no longer have the generalized yucks. 2. I went to the dentist to have deep root planing for my inflamed gums that I scheduled before going vegan and after only 1 month they said your gums look great, get out of here! What did you do? So I told them, got healthy by going vegan. 3. Went to my doctor to talk about my gallbladder issues and in 7 weeks lost 18 pounds. No blubbering here! Wow who knew since I do not own a scale and you told me to not go get one, I was amazed. 4. Excuse to shop. That's right, need smaller pants. 5. I decided to go clean and get off coffee at the same time I went vegan and now am only a tea drinker.... nothing beats a homemade soy chai mmmmmmmmm. I have not had any migraines since going vegan and without coffee I have new and improved energy. 6. I am not sure how much weight I have lost since I do not own a scale now that I am at month 3, but the new pants are now loose. I must say that the bonus side effects of going vegan are something to brag about. Thanks and Namaste Ya'll! Here's to a healthier, happier and bountiful vegan year! Wow, I am just overjoyed for you! 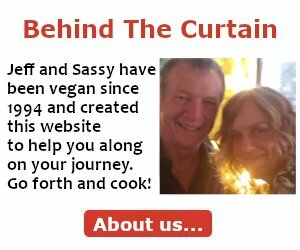 So many positive things have come out of your decision to go vegan! And I hope others who are on the fence about the benefits of a plant-based diet come across your very positive and heartfelt message. Very proud of you, m'dear. Wishing you the most amazing year ahead! "I just wanted to say thank you for starting this weight loss course. I have lost 40 pounds! I so appreciate having found you because I truly have been feeling overwhelmed in this journey." Great job! I'm in the process of transitioning from vegetarian to vegan (for ethical reasons) and hope to experience some bonus side effects myself. 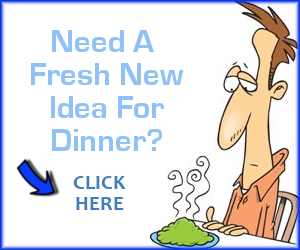 Anyone can do it and with the wonderful ideas and support here you will be amazed at how much better you feel! I was just not eating to right way for my body to be happy and my ethics :( but now both are very happy! Hope to hear how everyone else feels in 2011 with a happy vegan lifestyle! I went vegan about 2 years ago for health reasons. 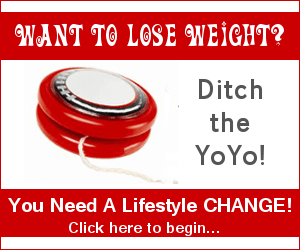 I was on blood pressure and cholesterol meds when I started and I no longer am taking any meds. My blood pressure and cholesterol are lower now then whe I was taking the meds and I feel so much healthier. My dental hygenist also commented about how my gums look so healthy. As an added bonus, I've lost 40 pounds and am now at my ideal weight. I think the best thing about going vegan is I am never hungry and I can eat all I want and still maintain a healthy weight, plus I am healthier. I'm excited to jump back on the Vegan train... I flirted with it back in 2011 for about 3 months or so but I honestly didn't have enough information about supplemental nutrition through vitamins like a b-complex vitamin and I didn't really know what I was getting into... 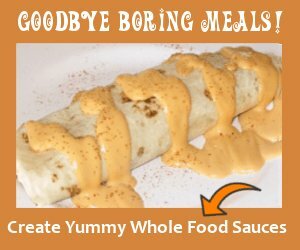 I too suffered from the quick fix unhealthy vegan options but this time around has been so much better for me thanks to this website. I've only just started this past month and am truly amazed at the changes in mood, energy and overall stamina I'm having. I am so excited to see more and more people educate themselves on this healthy and humane lifestyle... I will definitely keep using this resource throughout my Vegan Journey. Congratulations on all your success! Why can't I lose weight?? I have been on a vegan diet (which I love) and haven't lost a pound. It has been 10 months now. It's very, very difficult to say. Everyone eats such varying diets out there. You may think you're eating everything in a balanced way, but perhaps you are overeating one particular food, or not eating something you should be.